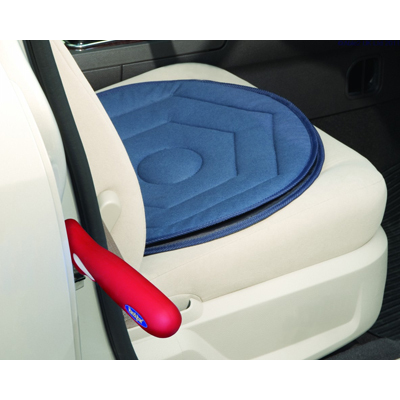 The Handy Bar/Swivel Cushion duo pack is ideal for those users who suffer from mobility problems and struggle getting in and out of their vehicle. The Handy Bar/Swivel Cushion duo pack is ideal for those users who suffer from mobility problems and who struggle getting in and out of their vehicle. The Handy Bar which features a a soft grip, non-slip handle and the steel shaft provides a safe and solid support handle for the user. The Swivel Cushion has been developed to aid those people with mobility problems to turn more easily when transferrin and features a soft padded, flexible rotating disc.